Beside the very famous St David's Cathedral, there are other places of significant national cultural interest, in Pembrokeshire. Below are just a sample of what we think are the more important places to visit. To understand part of the reason St. Davids is so special, you have to know a little about the history of the area. St. David is the patron saint of Wales. 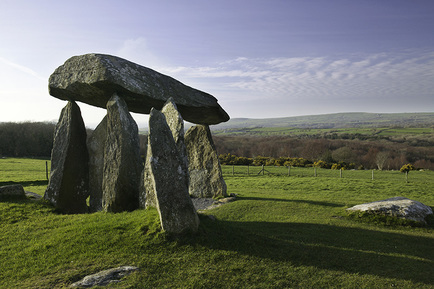 Legend claims he was born around 500 A.D. on the rugged Pembrokeshire coast of southwest Wales. He was the founder of a strict monastic order in the town that bears his name, and was the most influential clergyman in all Wales during the "Age of Saints." 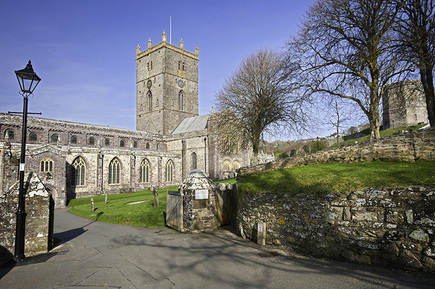 His place of birth and the cathedral built in his name became one of the most important shrines of medieval Christendom - two pilgrimages to St. Davids equaling one to Rome. 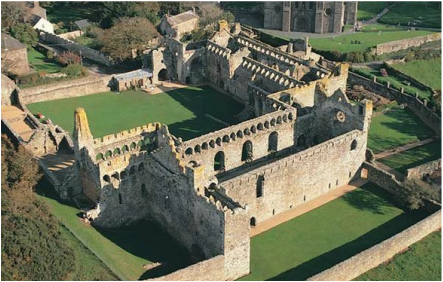 Important sites at St. Davids include the cathedral and ruined Bishop's Palace, along with St. Non's Church and Well. St. Non was St. David's mother. The ruined Chapel of St. Non is close to the Pembrokeshire Coast Path a few miles from the city of St David's. According to Christian tradition, Saint Non was born around AD 475 and was a daughter of Lord Cynyr Ceinfarfog who lived as a nun at Ty Gwyn near Whitesands Bay. She gave birth at Caerfai to a boy, who became the patron saint of Wales, St David. The ruin is thought to be on the site of St Non's house and to be one of the oldest Christian buildings in Wales. 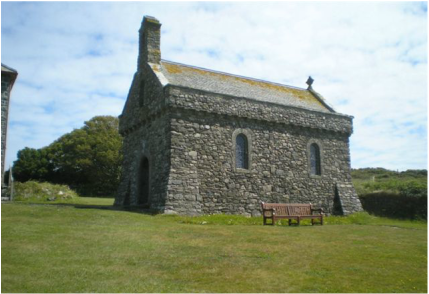 In medieval times the chapel was one of the main sites visited by Christian pilgrims. The Grade II listed site was taken over by the Welsh Heritage organisation Cadw in the 1950s. 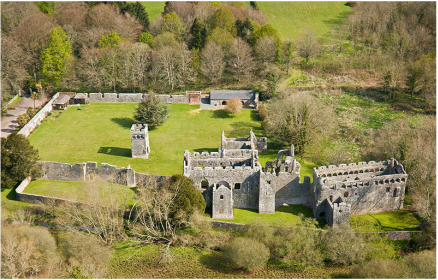 The remains of the Bishops of St Davids principle palace are located alongside the cathedral in the tranquil valley of the river Alun. This would have been the finest collection of buildings in Wales during the medieval period. A tiny hermit’s cell built into the cliff at St Govan’s, near Bosherston, South Pembrokeshire. Count the steps down and up again - legend has it that the number is never the same! 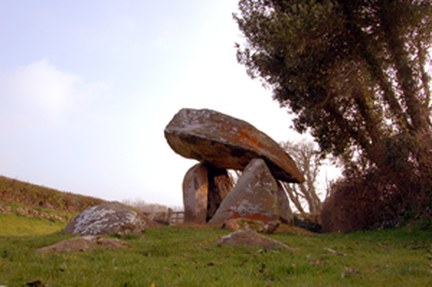 Carreg Coetan Arthur dates from around 3000 BC and is the remains of a Neolithic burial chamber (also known as a quoit). The remains consist of a 4 metre long capstone on smaller supporting rocks. It would have originally been earth covered but this has eroded away. 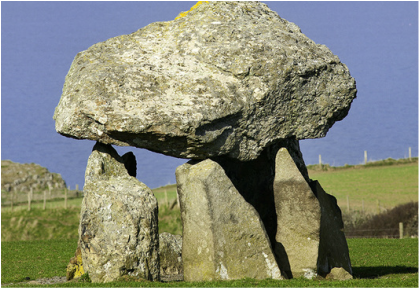 This Neolithic burial chamber stands in splendid isolation overlooking Abercastle bay. The capstone is supported on three of the seven upright stones, and the whole structure was once covered by a mound of earth or stones. 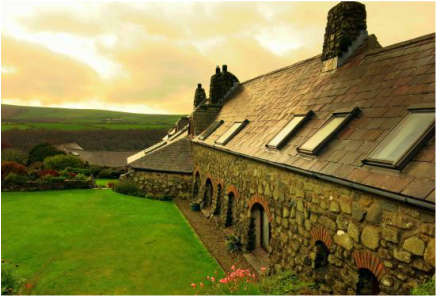 Ffald-y-Brenin is a beautiful award winning Christian Retreat Centre in the Gwaun Valley near Newport. Situated on a site of remarkable beauty within the Pembrokeshire Coast National Park, there is an abundance of wildlife, birds and flowers. Woods and waterfalls are on the doorstop. Many beautiful walks are available within the grounds and beyond, through fields, woods and moorland. 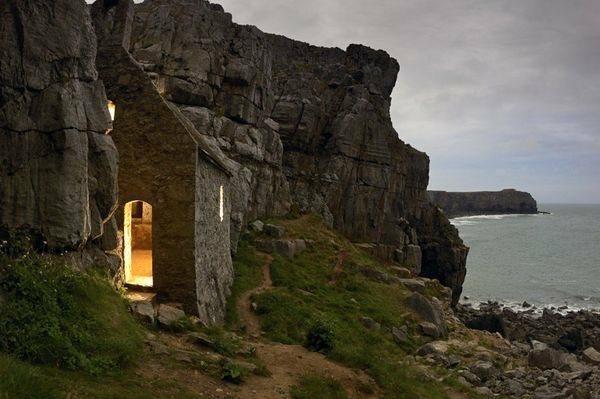 The Coastal Path leads to secluded bays and coves, whilst spectacular views open up from our hilltop. 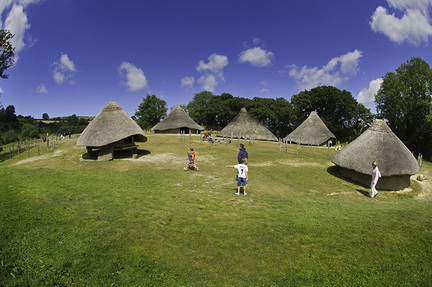 There are numerous and varied visitor attractions in the area. The rich heritage of Christianity in Wales is evident all around, including ancient Celtic crosses, holy wells, and pilgrim routes focussed on St Davids (only 22 miles away). Blaenannerch Chapel, where Evan Roberts encountered the Holy Spirit so powerfully in 1904, is also nearby.